The idea that vaccination can be used to fight cancer is not new. Approximately 100 years ago, researchers attempted to stimulate a tumor-specific, therapeutic immune response to tumors by injecting patients with cells and extracts from their own tumors, or tumors of the same type from different individuals. During the last decade, great efforts have been made to develop immunotherapeutic approaches for the treatment of malignant diseases as alternatives to traditional chemo- and radiotherapy. A quintessential goal of immunotherapy in cancer is treatment with vaccines that elicit potent anti-tumor immune responses without side effects. In this article, we have attempted to review some of the most problematic issues facing the development of cancer vaccines. With the prospect of immunosuppression, an ill-designed cancer vaccine can be more harmful than a no-benefit therapy. 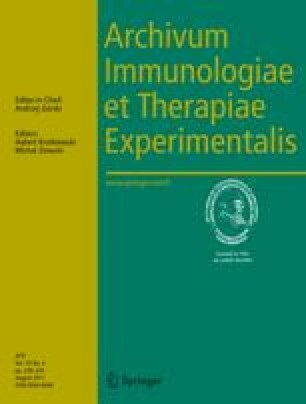 We have noted that “immunoediting” and “immunodominance” are the premier setbacks in peptide-based vaccines and therefore it appears necessary not only to manipulate the activity of a vast number of principal components but also to finely tune their concentrations in time and space. In the face of all these quandaries, it is at least doubtful that any reliable anti-cancer vaccine strategy will emerge in the near future. We gratefully acknowledge Dr. James R. Baker, Jr. for review and critical remarks of the manuscript. We also would like to acknowledge financial support from the University of Michigan Comprehensive Cancer Center Cancer Research Committee.